Bill has been a life-long resident of West Texas. He grew up in Monahans and later moved to Odessa. Bill is married to LaDona. He was employed at The University of Texas of the Permian Basin for 16 years. However, due to declining health in 2012 he has become disabled. 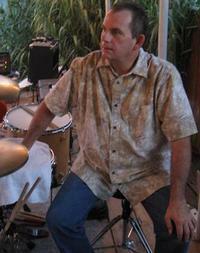 Many of you will know Bill as a working musician playing events throughout West Texas and Eastern New Mexico. Music performance has been a passion for Bill since childhood. Sadly his disease has forced him to abandon playing the drums until his health and stamina improve. Bill was diagnosed with Hepatitus C in the mid 1990’s. He slowed the progression of the disease by taking all the measures possible to improve and maintain his health. The disease finally reached the end stages of Cirrhosis and Cancer. He was fortunate to have received a liver transplant in Dallas, Texas on February 9, 2013. Bill and LaDona realize that funding this surgery and post transplant care is a monumental task. In order to ease the financial burden, a fundraising campaign in Bill’s honor has been established with HelpHOPELive, an IRS registered 501(c)(3) nonprofit organization that has been assisting the transplant community for 30 years. Bill has chosen to fundraise with HelpHOPELive in part because HelpHOPELive assures fiscal accountability of funds raised and tax deductibility for donors. Donors can be sure that funds donated will be used only to pay or reimburse medically-related expenses. If you wish to help Bill, then please consider making a contribution of any amount possible. To make a tax-deductible donation to his fundraising campaign:above. Thank you so much for your contributions, thoughts and prayers. Hey Mr. Bill Need to come see you someday. It's been awhile since I've seen you. Sure do miss seeing you playing the skins. Take care amigo. you are awesome,BillIlove you,and pray for You God will make every thing good ! I am keeping my faith in God. Jesus has been right by my side for a long time. He is amazing. Love you Bill. Stay strong and never give up and always hang on to your faith.